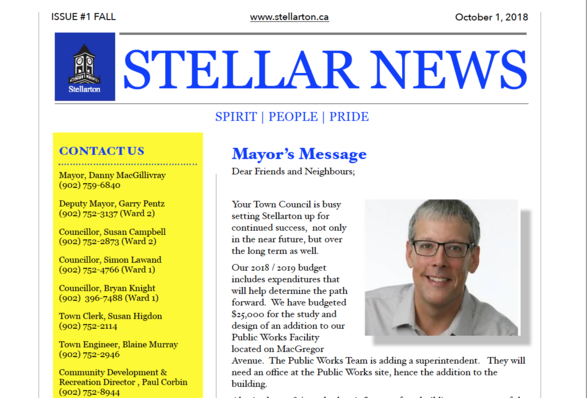 Town of Stellarton is now publishing quarterly newsletters to go out with water bills. The Newsletter will have key information on upcoming events, contact information, construction projects and accomplishments. 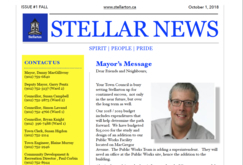 Town of Stellarton is now publishing quarterly newsletters to go out with water bills. The Newsletter will have key information on upcoming events, contact information, construction projects and accomplishments. The newsletter is available here and in your water bill.